When you’re at Comic Con, it’s all about the superheroes. Even when waiting on line at a nearby Starbucks, there via a flat-screen above, Batman plays on a continuous loop. They are omnipresent. And while everyone here ponders DC’s planned film-verse and how they can possibly fit Batman, Superman and Wonder Woman into one film, DC has quietly proven these queries moot albeit via a completely different medium. 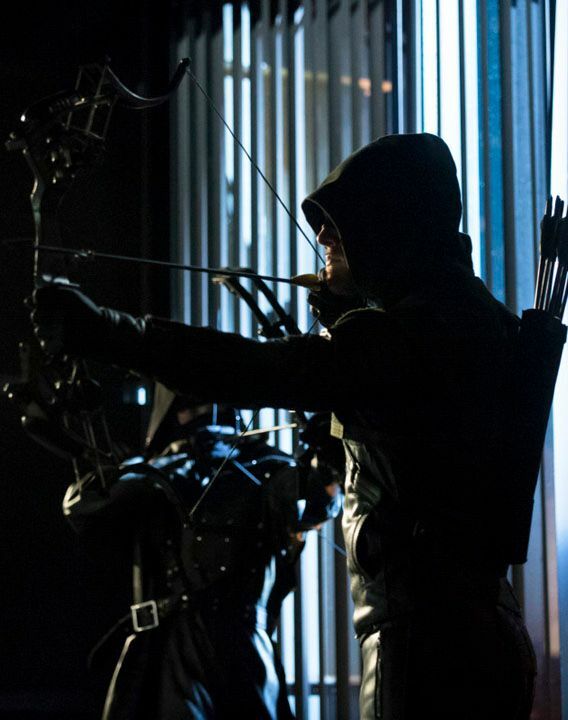 On television, DC has crammed a plethora of Justice League characters – The Green Arrow, Black Canary, The Flash – all onto its flagship show: Arrow. 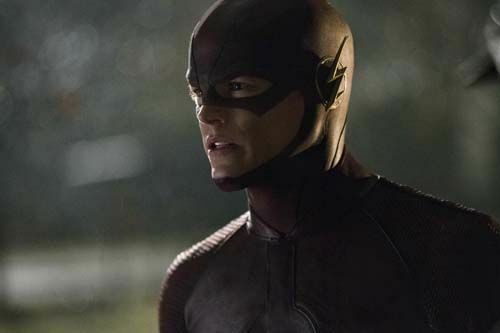 This year, DC attempts to further its monopolization of the CW Network by spinning off The Flash as its own series. At a group roundtable for Arrow and The Flash, I spoke with Executive Producer/Writer Andrew Kreisberg about what to expect on the third season of Arrow, the series game plan for The Flash and how Buffy the Vampire Slayer influenced crossovers between the two. For the full interview, hit the jump. Q: What sort of themes will be at the center of this upcoming season of Arrow? We always look to Arrow and the seasons like movies. Last year was the sequel and usually the sequel is darker and deeper. The ‘threequel’ is usually a little bigger and wider and has a little bit more humor to it. We’ve really expanded the cast, especially bringing on Brandon Routh [as The Atom], and just taking situations that previously we might have treated with more seriousness — for instance Diggle having a baby– as emotional as it is for Diggle, there are also opportunities for humor on the show amongst all these characters that we previously haven’t explored. The flashbacks on the show are moving to Hong Kong — I’m interested how visually do you recreate that atmosphere? Hong Kong has such a particular vibe and look — how do you create that on a TV budget? Andrew Kreisberg: Our special effects house – they’ve done such amazing work. They created the island and the freighter last year and the helicopter sequence and stuff so far beyond what we expected when we started doing this show. Fortunately Vancouver and Hong Kong have a lot of similarities. They’re both newer cities. Both have a waterfront — so with some pretty cool visual trickery and signage [we can create Hong Kong]. I think what’s really interesting — Glen Winter who’s been our DP for the past two years and is now going to be a full time director on the show — he directed the premiere episode this season. He’s given it a little bit of a glow. You can see in the trailer: it has a tinge to it that’s a new visual look to the series. It’s almost a little bit dreamlike. But we made people believe that Oliver was on a deserted deadly island in the middle of nowhere when it was mostly shot in the forests of Vancouver. We will muddle through and hopefully people will believe it. Have you given any thought to what happens should the flashbacks catch up to the present day on the show? Andrew Kreisberg: I think it’s a little bit of hubris to worry about what’s going to happen to your show in five years. One of the things we started doing last season — was doing flashbacks out of sequence to some of the other individual characters. We actually have even more of that this season. We have an episode where the flashbacks are of Felicity in college. I guess at some point if the Oliver trajectory catches up to the pilot, there’s other things we could do but I think those are ‘champagne problems’, as my wife likes to say. Q: How does The Flash compare to Arrow? Andrew Kreisberg: On Arrow, when you first meet Oliver, he’s as much The Green Arrow as he’ll ever going to be expertise-wise. That show is really a study about morality and how someone lost their humanity and can they get it back. But for Barry — he’s just gotten these powers and with that comes all these challenges. It’s so different to write. A lot of the earlier episodes are about trust with his teammates. Is he doing the right thing by running around? Story-wise — it’s entirely different than Arrow. Andrew Kreisberg: I think with Arrow it was always our intention [to do a comic book type show]. That’s why in the pilot one of the first image you saw was the Deathstroke mask. That may have flown over some people’s heads; but for us, it was important to let the fans know we’re going to do a ‘comic book’ show. Right now, we’re really going for it. You can’t just have The Flash. The Flash is a world. It has families and villains and powers and time travel. It’s everything. Just having a guy who runs fast, it wouldn’t be The Flash — so we’re putting them all in. Are there particular bullet points or story lines that you want to get to? Andrew Kreisberg: There’s an Easter Egg in the pilot that we would love to do. That we didn’t throw in willy-nilly. Andrew Kreisberg: Oh that one too… but the Grodd cage was our [big Easter Egg]. Hopefully Dawn of the Planet of the Apes has [laid the groundwork] there. I think with The Flash — because of the structure of the comic books with time travel and parallel dimensions and all those other things, there’s an opportunity to do far more sci-fi type things than we would ever imagine doing on Arrow. We’re hyper conscious, not just for the audience but for ourselves, that we’re not giving you two hours of the same thing every week. And that the two shows — no matter that they take place in the same world — that they’re different and have different energies and different patterns and paradigms. Given Wentworth Miller is going to be Captain Cold — Are you planning on incorporating the Rogues villains going forward? Andrew Kreisberg: Hell yeah — it’s not The Flash without The Rogues. One of the themes of the episode [in which Captain Cold is introduced] is whether it’s better to have a team or go at it alone. It’s an episode where Barry and Team Flash are having their first struggles working together. They come together to save the day but ironically they teach Captain Cold sometimes it might be better to have some partners. That’s something that hopefully with the success of the show, we can roll out. Besides Spiderman and Batman, The Flash has hands down the best villains. You could do a TV show about The Rogues and there’s enough depth and interest and oddly honor amongst those characters that I think people will watch that show. Hopefully with success, as we slowly roll these characters into our show, there’s an opportunity for them. Like on Buffy — with Spike or Drusilla or any of those characters who were villains yet you were rooting for them as much as the heroes. Speaking of Buffy the Vampire Slayer, Buffy and Angel seem like the prototype for crossovers. Did you try to emulate that when crossing over Arrow and The Flash? Andrew Kreisberg: Yeah — I talk about that a lot because I was a fan of both shows There’s the giant crossover where Buffy and Angel would be on the same episode but then there’s also little crossovers that I loved like on Angel when Angel became Angelus and he heard that there was a slayer in town and he picked up the phone and called Dawn and said ‘Hey — Is your sister there? Oh she is? Great’ and then he’d hang up and go ‘Damn – it’s the other one.’ Even that little thing — I almost love those even more. Because I feel like for the fans who are watching both shows, that’s almost in a way more of a love letter than both casts coming together. We have Felicity coming over [to The Flash] in episode four and we’re having this big crossover in eight, but there will also be those little ones along the way that I think for people who are watching both shows will really jazz them.